Ronaldo surpasses Barcelona star Lione Messi and PSG footballer Neymar Junior to top the Instagram Rich List of athletes for 2018. Juventus new signing Cristiano Ronaldo surpasses Barcelona star Lione Messi and PSG footballer Neymar Junior to top the Instagram Rich List of athletes for 2018. On Wednesday, HopperHQ.com, an Instagram scheduling tool, released an ‘Instagram Rich List’ in which it revealed a list of highest paid celebrities and influencers on the photo-sharing application. 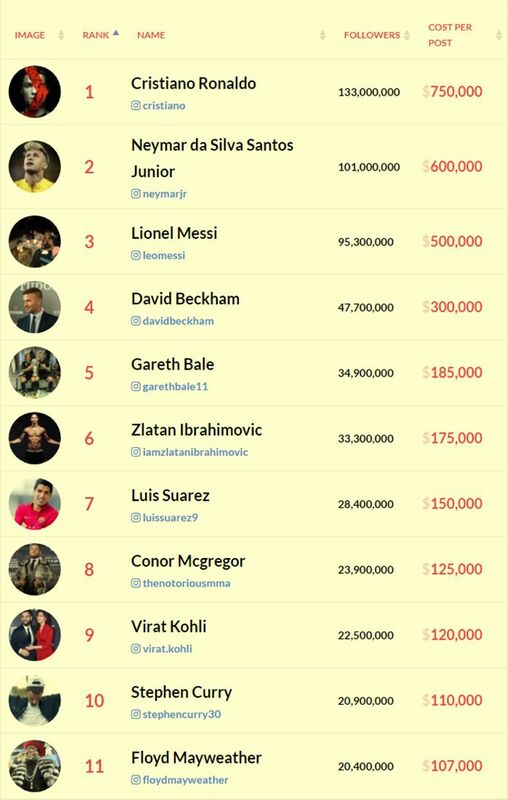 Protégées footballer Cristiano Ronaldo, who also tops the list, earns $750,000 per post, followed by Neymar JR, who earns $600,000, and Lionel Messi, who charges $500,000 per post on Instagram. 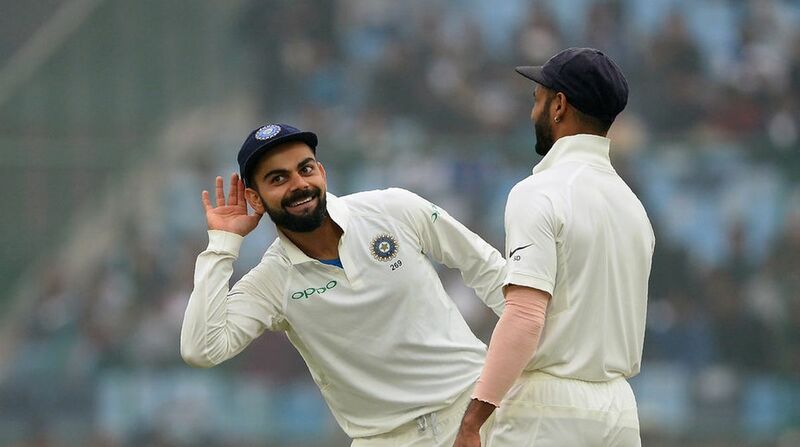 Meanwhile, Indian cricket team skipper Virat Kohli was placed at the ninth spot on the list with 22,500,000 followers — above Stephan Curry and Floyd Mayweather. The 29-year-old Indian cricket captain earns $120,000 per post.